"Helping People Understand Their Property!" I specialize in first time home buyers. Everyone gets the same "first time home buyer" level of service. I provide an on-time Home Inspection Report. My Inspection is thorough. There are at least 600 - 800 items to inspect during a typical Home or Property Inspection. This includes observing the item, inspecting the condition and providing comments as may be necessary. I am available to you throughout the home selection and purchase process. 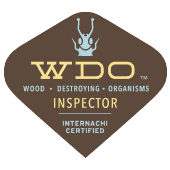 I consider it a privilege to inspect the home you and your family will live in, this I take seriously​. I may be on an inspection, providing the best possible service for another client. If I do not answer the phone, please leave a message and I will return your call at my earliest opportunity. It also may be beneficial to send me a text, some of the areas in which I travel have limited mobile service. You have found the home that you want to buy. That is fantastic! Now let's consider the reality of buying an existing homes on the market. There is no perfect home. Most homes will have some concerns, issues or problems. There is often some deferred maintenance and some damaged or worn out components or systems. My job is to help discover what those might be. The home may still be a good purchase even though it needs some maintenance or repairs. What I do is provide you with the information you need to make a good purchasing decision. 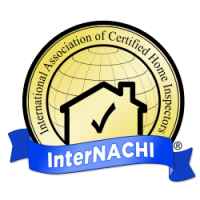 My Home Inspection will identify the concerns and provide the recommendations needed to help you understand the home. I help people choose the right home! About Me + My Report - I introduce myself with a brief description of my background, "About Home Inspection Reports", "About My Report"
I had the pleasure of working closely with Don on multiple building projects throughout the years. His vast knowledge of the construction industry is a huge asset for everyone. I would never hesitate to recommend Don to business acquaintances, friends, or family in need of home or property inspections. 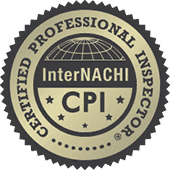 I highly recommend home inspection services by Provident Home Inspection LLC . 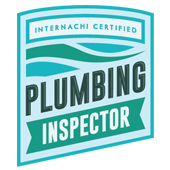 I recently had a home inspection completed by Don Veeder from Provident Home Inspection. He is very knowlegable of many different aspects of a home and it's systems. His insight gained from his experience working in the home design industry are invaluable. 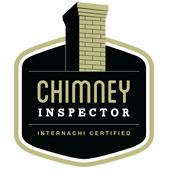 I am very pleased with the thoroughness of the inspection and the details provided in the home inspection report. The report includes recommendations for maintenance and improvements where necessary, things to monitor and any potential safety concerns. I am very happy that I contacted Provident Home Inspection for my home inspection. Don Veeder of Provident Home Inspection did two very thorough home inspections for us during our current home search. His extensive inspection and reports helped us stay away from expensive hidden repairs and end up in the best house. Don is very detailed, thorough and professional. We would suggest him for home inspection service.